NEW YORK (CNS) — In chronicling the early history of McDonald’s, “The Founder” (Weinstein) makes compelling food for thought, if not exactly a happy meal. 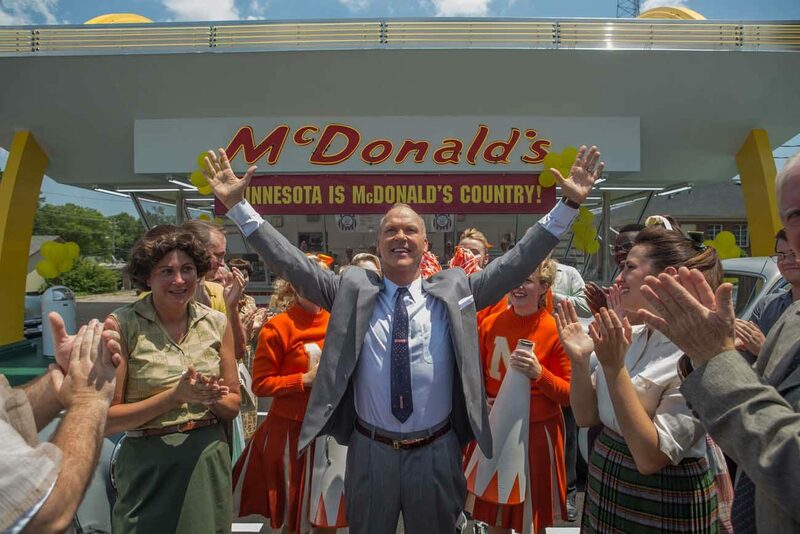 The drama is based on the true story of Ray Kroc (Michael Keaton), the traveling salesman who initially befriended the McDonald brothers, Richard (Nick Offerman) and Maurice (John Carroll Lynch), but eventually steamrolled over them. Robert Siegel’s screenplay strives to set the record straight about who was actually responsible for the food service behemoth — which today feeds 1 percent of the world’s population, every single day. In Minneapolis, Kroc meets Rollie Smith (Patrick Wilson), a steakhouse owner interested in bankrolling the franchise. His piano-playing spouse, Joan (Linda Cardellini), catches Kroc’s ear — and heart, as she will become his next wife as well as a shrewd business partner. The film contains mature themes, including divorce, and brief profane and crude language. The Catholic News Service classification is A-III — adults. The Motion Picture Association of America rating is PG-13 — parents strongly cautioned. Some material may be inappropriate for children under 13. “capitalism, greed and the dark side of the American dream”. You need to learn about capitalism! Joan Kroc has given a couple billion (that’s billion with a b) dollars to charity via the Ronald McDonald Houses, the Joan B. Kroc Institute for International Peace Studies at Notre Dame Univ., the St. Vincent de Paul Joan Kroc Center for the Homeless in San Diego, to name a few. I’m disappointed in your review of this movie.